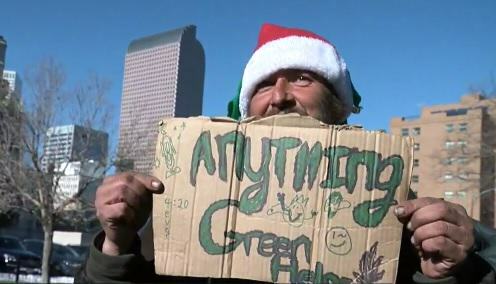 Christmas came early in Denver, Colorado this year when a local charity gave away a thousand free, pre-rolled marijuana joints. 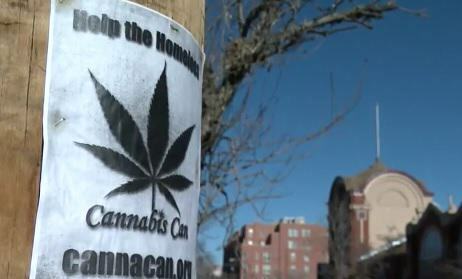 Nick Dicenzo, the founder of Cannabis Can, is the mastermind behind the free weed and said the idea is to try and raise awareness about homelessness and encourage people to donate to their cause. Cannabis Can reportedly want to raise money to buy several mobile homes and provide restrooms and showers for those who need them. Dicenzo said their goal is to use weed for good and to bring people together to make a difference. Cannabis can make a difference, is kind of what we’re standing for. Merry Christmas, Happy Cannamas — would you like some rolling papers for tobacco? Dicenzo says he legally grew the weed, and is also passing out flyers and business cards with information on where people can donate. 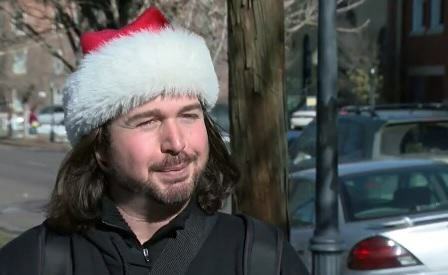 And while not everyone wanted a free joint, Dicenzo said the message was to ‘spread the cheer and give back’. Funnily, it’s actually illegal to smoke weed in public in Denver, but it can be given as a gift. The only rules are that the person has to be 21 or over, you can’t pay for it and people can only carry up to an ounce of weed. This last rule has made handing out thousands of joints difficult but Dicenzo has clearly managed to navigate his way around it. Watch ABC’s full report here.